As children go outdoors to enjoy the warm weather of spring, you could end up taking your young adventurers to the pediatrician for allergic reactions to poison ivy and/or poison oak. Green, glossy leaves that grow in clusters of three characterize these common plants. The leaves contain a type of oil that, when spread to the rest of the body by scratching or contact with contaminated clothing or pets, causes irritating symptoms for many children. When it comes to avoiding poison ivy and poison oak, education is the key to prevention. Show your children pictures of the plants so they can learn to recognize them and steer clear. Dress them in long pants, long-sleeved shirts and closed-toe shoes if they plan to play in the woods. If they come into contact with the plants, have your children bathe and change their clothes and shoes right away. They may grumble about having to take a break from activity, but a few minutes in the shower beats weeks of discomfort. Get to know Jenica Rose-Stine, D.O. Dr. Rose-Stine joined the Cook Children's Willow Park practice in 2008. You can stay connected with Dr. Rose-Stine and the Willow Park practice on Facebook. She is a TCU horned frog who served as a two-time president of the Fort Worth Pediatrics Society and currently holds committee appointments at Cook Children's. 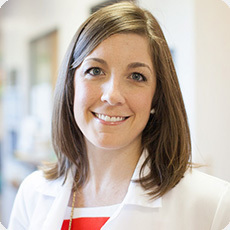 She is enthusiastic about several areas of pediatrics including development, safety and prevention, and nutrition and she thoroughly enjoys her interactions with first-time parents and their newborns. Click to learn more.